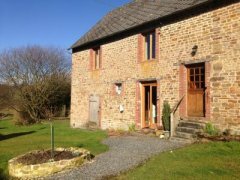 For long term or short term lets in Calvados, Normandy, 3 -bedroomed self-contained accommodation on the first floor of a converted former stable block, with stunning views seen from all rooms and the private balcony. 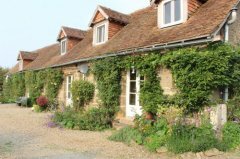 Calm and peaceful country setting yet within walking distance, or less than 3 minutes by car, to long sandy beaches, and a lively town with a market, restaurants and shops open all year round. 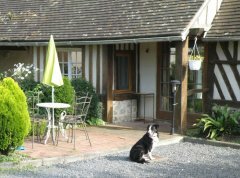 30 km from 2 UK/France Ferry ports and close to the D-Day beaches & the Cider Route, etc. Normandie, Calvados, 45 kms west of Caen. Renovated & furnished to a good standard, accommodation is open plan, split level over 3 floors with mezzanine areas. 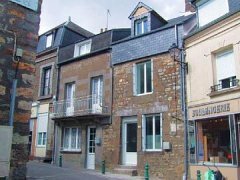 Normandie, Manche, 14 kms from Coutances. 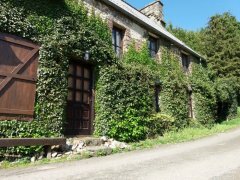 A fully renovated 100-150 year old Normandy farm cottage 5 minutes' walk from Roncey which is just 9 miles south of Coutances and 10 miles from the beaches on the west coast of the peninsula. Normandie, Manche, St Martin de Landelles. 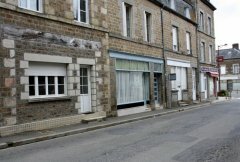 Normandie, Manche, 20 kms from St Lô. 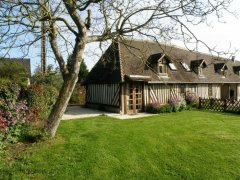 Normandie, Manche, 3 kms from Torigni sur Vire. Nestled in a peaceful hamlet, the cottage was built in the 1600's. 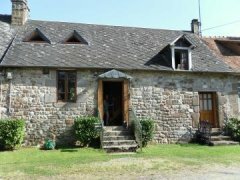 Full of French charm, thick stone walls and oak beams. 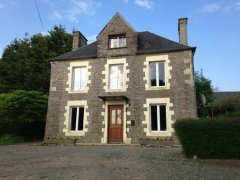 Close to the medieval town of Domfront and Spa town of Bagnoles de L’Orne. The property offers winter warmth and summer living. 1st Floor: Large open plan area with lounge, kitchen, dining area. Separate TV room c/w futon, WC and 1st bathroom. 2nd Floor: 3 Double bedrooms, shower room, WC and sink. Ground floor (cellar). Small work store, wood store, oil tank and boiler. All recently renovated. 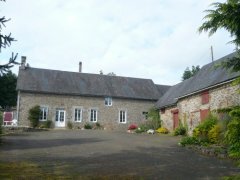 Normandie, Orne, Approximately 10 kms from Gorron. Normandie, Orne, St Fraimbault lower Normandy. 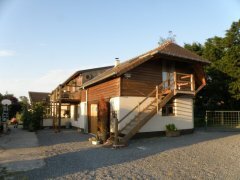 This stunning property is just five minutes walk from the picturesque village and yet a little oasis of privacy. 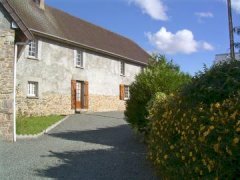 Set in beautiful gardens the property comprises of a fully self contained gite/holiday home and also offers an apartment with an independent entry. Spacious House in Charming Village.